I'm Maryflor Quevedo, 14 years old.From Langkas Dalaguete, Cebu, daughter of Mr. and Mrs. Deogracias T. Quevedo.Sister of Celester Quevedo.My hobby is dancing.My friends are Virgitth, Jovelyn, Mariecraez,Theresa, Ponciana,and Isabel. In its begininning, the school was only an extension high smmmmchool of Dalaguete Provincial High School in 1966. 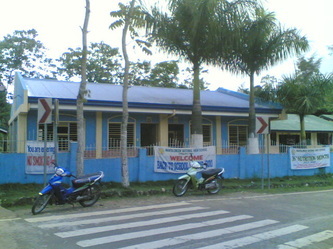 It was housed in the Mantalongon Elementary School using 2 classrooms for the first and second year students.